New pictures of Thinice Gaston - Fashions date for next year. New pictures of Tiara, I'm Laku, Ivory Black, Isengard and Fashion. New pictures of the puppies, 7 weeks old. New pictures of the puppies, 6,5 weeks old. New pictures of the puppies, 6 weeks old. New pictures of the puppies, 5 weeks old. New pictures of the puppies, 4 weeks old. The I-litter was born the 25:th. Here's some pictures of the sweethearts. New pics of Viruz, Fanta, Faramir, Hazzle, Thurbo and Tiara. New pictures of Xando who died in May due to age. New pictures of Hunter. Thank you to Bernice and Errol for making this photo shooting. New pictures of Zirocco and Faramir. Fashion was mated by Eternity's Heyday. New pictures of Gaya, Grace and Tiara. New pictures of Hunter, Hazzle, Tiara, Crazy, Gwendolyn, Dezibel and Tascha. New pictures of Fanta and lots of new pictures of the puppies, 8 weeks old today. Lots of new pictures of the puppies, 7 weeks old today. Thank you Carro and Mini for helping me once again. Lots of new pictures of the puppies, 6 weeks old today. Thank you Carro and Mini for helping me. Lots of new pictures of the puppies, 5 weeks old today. Lots of new pictures of the puppies, 4 weeks old today. Lots of new pictures of the puppies, 3 weeks old today. Lots of new pictures of the puppies, 2 weeks old today. Thank you Carro, for helping me. New pictures of Fiddler. Thank you so much Alyn. New pictures of Grazias puppies, 4 weeks old. Fanta's Champion diploma and my Breeders Diploma :-) Thank you Errol. New pictures of Fiddler. Thank you Alyn. New pictures of Faramir, Xito and Vitou. Thank you Marianne and Åke for the lovely pictures. New pictures of the puppies and a little movie as well. New pictures of Dollar and of the puppies, 3 weeks. New pictures of Soya, Honey and Honey's belly. New link at "Honest Breeders", kennel Isegard, US. New pictures of Grazias babies. Alizia got 3 boys and 2 girls. New pictures of Alizia. Thank you so much Carro. My baby from Ireland is born. Hopefully little Fashion moves to Sweden in February. New pictures of Pascha, Cleo (naked), Zinja and Axa. A new page is up - "Various pictures"
New pictures of Cichla's Honey, Yazza, Savoy & Vlamme, Pascha, Dollar and Duchess. The first, of three babies, jumped out from the nest today. and my bird babies are now 13 days old. One week more and they are ready to leave the nest. A bunch of new pictures of my birds, thank you Carro. Nougat, Milton, Blyger, Toffee, Ying, Plopp, Bowie and Dibah and a few pics of both my Goulds as well as one pic of almost all together. We wrote the final papers with Bonzai's new owner and put some new pictures up. Good Luck with your new family, Bonzai. New pictures of Duchess and Vitou got a 1st prize in obedience. New pics of Dollar, Dante and Domino. Daphne and Dezibel have got their own pages. New pictures of Chester, Dollar and Thurbo. Cleo is x-rayed with excellent results. New pictures of Boriz and Bonzai and Douglas got his own page. New movie of the puppies beeing outside for the first time. New pictures of the puppies 4 weeks old, Zantana and Grazia, Thank you Craig and Julie for the help. New pictures of Urza, Axa, Cleo, Yazza and Zinja. Thank you for the pics Carro and Sakke. New pictures of Zinja, Chester and Fighter, the father of my puppies. Thank you Carro. New pics of the puppies. New pictures of the puppies, 3 weeks old. Today they moved to a bigger place, in the kitchen. New pictures of Grazia, Cleo, Aioli, Axa (thank you so much Carro), the puppies and some pics of Bonzai, Cleo and Grazia playing. New pictures of the puppies, 1 week old. Congratulations to Cichla's kennel. Aras is now American Champion. New pictures of Aioli's belly in the morning and of the D-litter in the evening. New pictues of Alizia (taken with Carro's cellphone which may explain the poor quality). New pictures of Zion and Axa. Thank you Mona. New picture of Chester and Corona and new pictures of the birds Tassel, Milton, Plopp, Mocca and some more. New pictures of Crazy, Thank you Bettan. I bought some new birds. Milton and Plopp. Thank you Lina. New pictures of Lingon and Kiwi. Thank you Felicia. 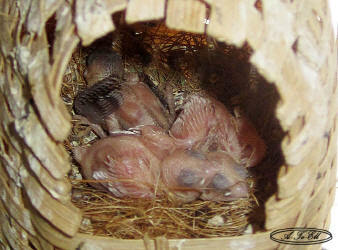 New pictures of the bird babies, Kiwi and Lingon, from their new home. New pictures of Boriz, Thank you Camilla. Believe it or not.... Yazza is empty. 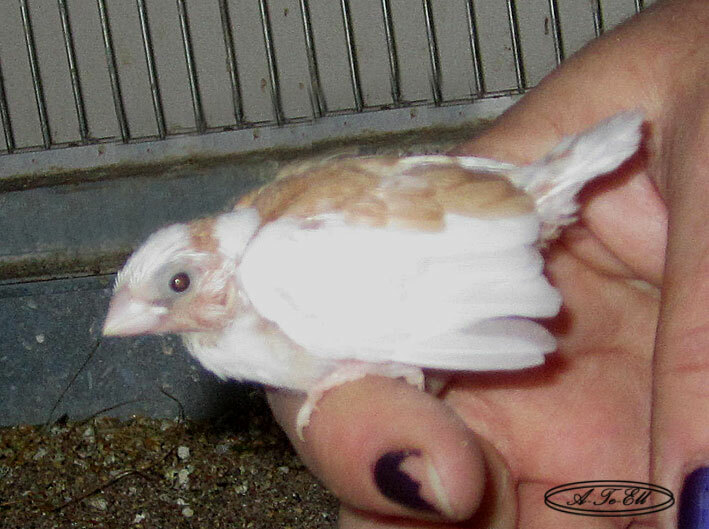 New pictures of Zinja, Virus, Cleo and Bonzai and new pictures of the bird babies. Lots of new pictures of the birds; Nougat, various finches, Dandy and the babies. Thank you so much, Carro. Successful mating between Sacco and Yazza.